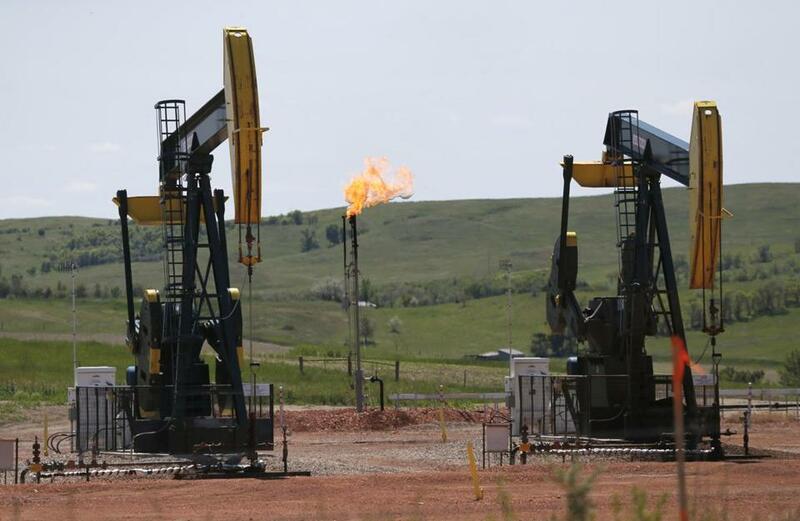 Natural gas burned near oil pumps in Watford City, N.D.
Massachusetts should applaud President Obama’s goal to cut methane emissions from oil and gas wells by nearly half by 2025. The Commonwealth is acutely addicted to natural gas, which accounts for about 60 percent of our electricity generation. That demand has resulted in chronic bottlenecks, giving consumers some of the highest electricity prices in the nation. All six New England states are among the top 10 for energy costs, according to federal statistics. Although Massachusetts does not have a fracking industry or a wealth of natural gas wells,pipelines with thousands of leaks are a key source of methane emissions. The announcement is another reason to think long and hard before enabling the national hydraulic fracturing industry’s thirst for new pipelines that often prove highly unpopular in towns they would run through. While natural gas is a cleaner fuel than coal and oil, the Obama administration has sent the strongest message yet that it must be cleaner still. Methane is a huge contributor to global warming because its heat-trapping ability dwarfs that of carbon dioxide. With the explosion of fracking operations in recent years, the federal Environmental Protection Agency last month announced that methane emissions are higher than previously thought, with oil and gas drillers being the largest emitters. The new EPA rules cover only new oil and gas operations. But the agency said it intends to collect data on the technologies and costs to slash emissions at existing plants. For new plants, the estimated $530 million cost of the regulations to industry in 2025 will far be outweighed by an estimated$690 million in benefits from cutting waste. Earlier this year, in proposing new curbs on venting, flaring, and leaks from natural gas operations on public lands and American tribal lands, the administration said enough gas was lost from 2009 to 2014 to power 5 million homes in a year. Predictably, industry protests the new rules as burdensome, pointing out that advances in technology and energy efficiency have already cut emissions in the United States. But they are dropping too slowly, including in Massachusetts. Despite the state participating in the Regional Greenhouse Gas Initiative and despite nationally-lauded energy efficiency and solar energy efforts, environmental groups warn that the state is on schedule to cut its emissions by only between 16 percent and 20 percent below 1990 levels by 2020. 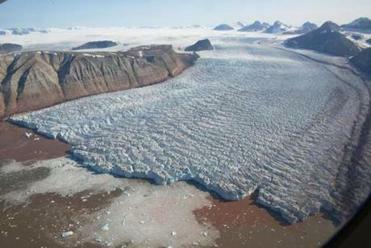 Under the Commonwealth’s Global Warming Solutions Act, emissions are supposed to be cut by 25 percent. That should move the Legislature and Governor Baker, which are in the midst of intense debate on the state’s future energy mix, to shape solutions that wean the Commonwealth off natural gas even more quickly. By definition, that means a much more aggressive reach for solar, wind, and hydroelectric power in a balanced package. Natural gas may be a bridge for the moment. But it is not benign. Without regulation, it is still a bridge to climate disaster.